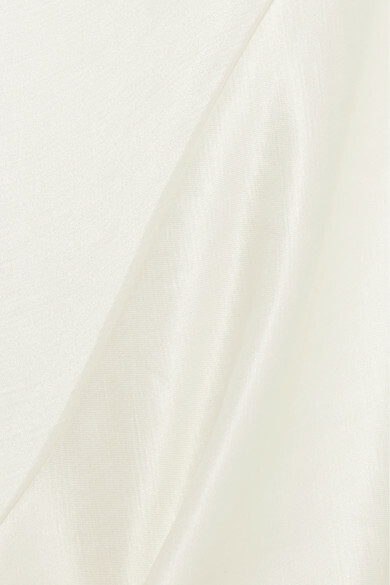 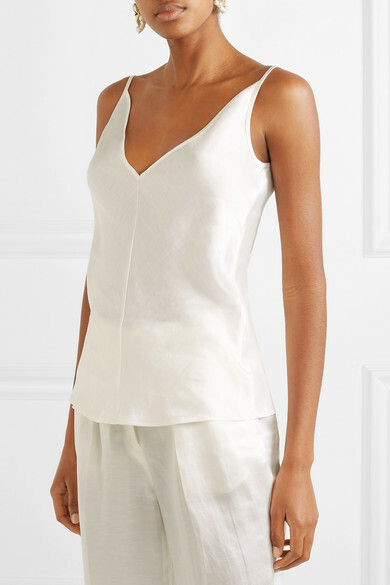 Gabriela Heart's 'Maria' camisole is made in Italy from a blend of linen and silk, giving it a beautifully soft, crisp texture. 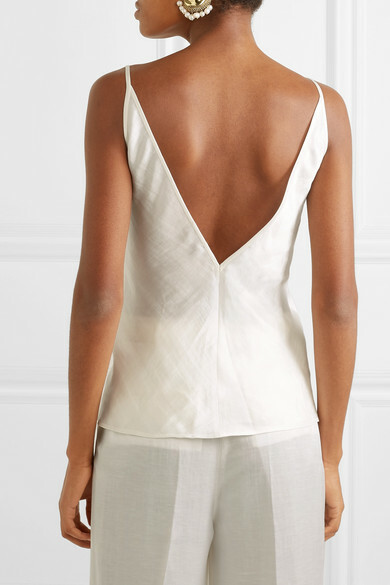 Draped from slender straps, this style has a plunging V-neckline that's echoed at the back. 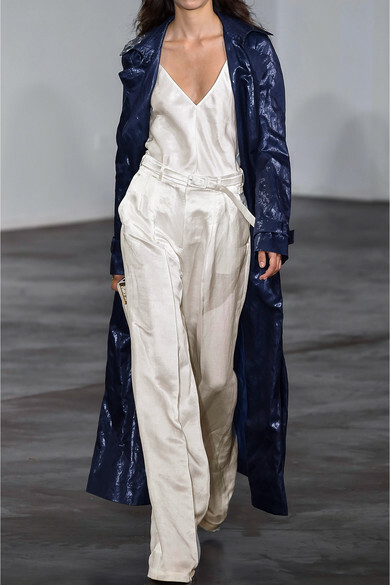 It was tucked into tonal wide-leg pants at the Spring '19 show but looks just as good with a midi skirt, too. 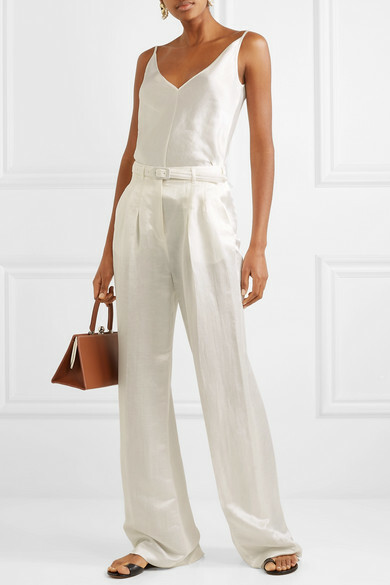 Shown here with: Gabriela Hearst Pants, Ratio et Motus Tote, The Row Sandals, Ellery Earrings.